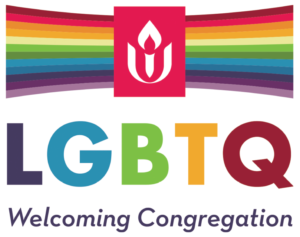 We are a deliberately inclusive, open-minded religious community in the Unitarian Universalist tradition, growing spiritually together, spreading love, justice, and joy! We nourish the growth of Spirit in new ways. We work as partners for social justice with our wider community. We deepen our multiculturalism and grow in diversity. We create spiritual spaces, in our central home and beyond. This is our vision of the Wildflower Church we aspire to be. We express love in action: for one another, for strangers, for our community and our planet. We experience awe, hope and joy in connecting with something bigger than ourselves. We transform our authentic selves through worship and learning, work and play, taking risks and talking about things that matter. We promote fairness, freedom and empowerment, in our society and our relations with one another. We engage with the communities around us, to serve and to open doors for those in search of a spiritual home. “Life does not call us merely to do over and over again what we have already done; nor does it call us to act out, as puppets, parts already assigned to us. 1: Meet spiritual needs of a larger community through various and innovative ways of doing church and religious education. 1a. Each member is able to express how UU principles and WFC mission and values apply to their life. 1b. WFC develops a collective UU identity. 1c. WFC community members identify that their spiritual and personal growth needs are being met. 1d. The church community grows to 225-250 members. 2: Partner for social and climate justice with other community groups and churches to provide direct service, education, and advocacy. 2a. Social and climate justice activities deepen our church community’s understanding and commitment to UU principles and WFC mission and values. 2b. Members and guests feel the call to justice work (100%). 2c. Deeper relationships with community partners develop through social and climate justice activities. 3: Grow a multicultural church community that more closely reflects diversity in race, age, families and cultures consistent with local demographics. 3a. Wildflower is a safe space to have conversations about race and class. 3b. The church community intentionally applies a multicultural lens to church life. 3c. Wildflower has relevant spaces and a variety of spiritual development opportunities for diverse cultures, ages and families. 3d. Diversity of membership increases. 4: Create a central spiritual home and other spiritual spaces that reflect our UU values and traditions and allow us to grow the church and connect with people we do not currently serve. 4a. Ongoing spiritual experiences occur in satellite or outdoor spaces that serve specific populations. 4b. Deeper relationships occur with everyone with whom we share space. 4c. The symbols in our spaces reflect diverse cultures, values, and sources.